Screenshot your toon and pet! I thought it would be fun to see what everyones toon with their favorite pet looks like! 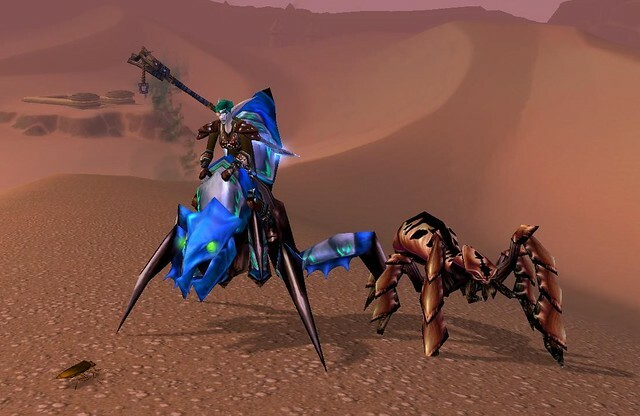 Show off your transmog, your pet, or your fav mount! 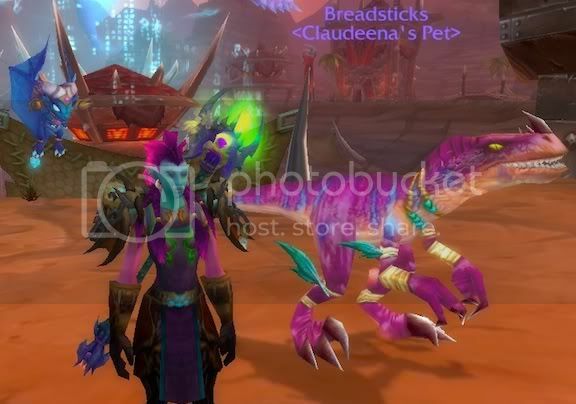 This is my main, Claudeena with Lil'Tarecgosa and Breadsticks! 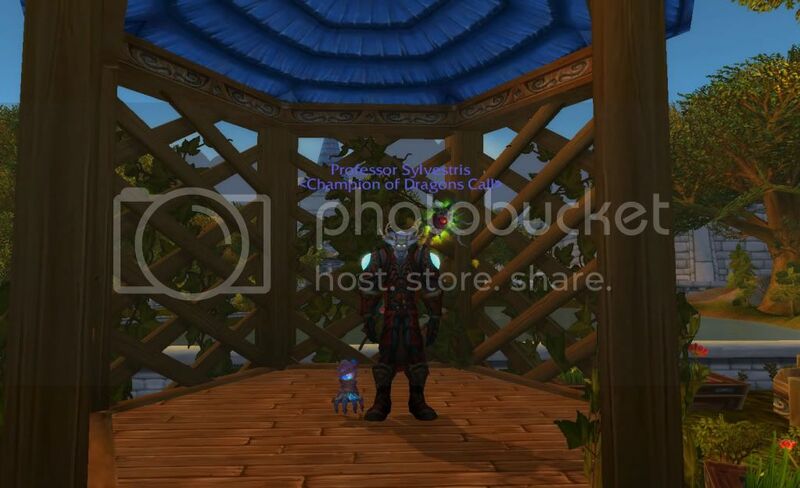 Re: Screenshot your toon and pet! Haha! Thanks, a lot of people get a kick outta that name. One of my pet battle companions is going to be the deviate hatching, since its the same color, and I'll name it lil'breadsticks! Pinkymac wrote: Haha! Thanks, a lot of people get a kick outta that name. :D One of my pet battle companions is going to be the deviate hatching, since its the same color, and I'll name it lil'breadsticks! 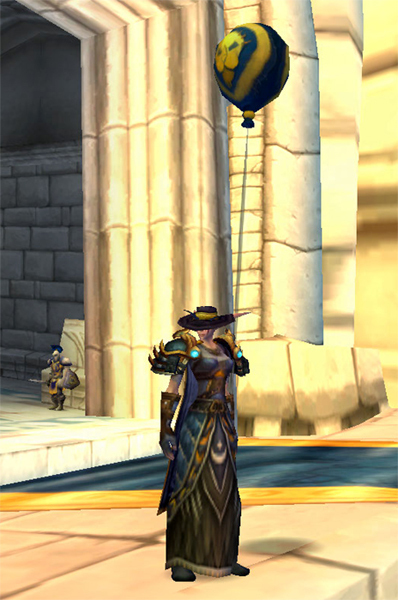 Candy, I love your transmog sets! Your toons look great! Couldn't pick a favorite, so here's just a screenshot of my current get-up. Rockin' the blue and yellow. My main character and pet collector, Sylv, with his Crawling Claw. It was so hard to pick just one pet to be my favorite, but I think the little mummy hand is really close. It took the most effort to get, it's my rarest and most unique, and it attracts a lot of attention I enjoy having the little guy out for my many misadventures. NoxCrucifix wrote: My main character and pet collector, Sylv, with his Crawling Claw. It was so hard to pick just one pet to be my favorite, but I think the little mummy hand is really close. It took the most effort to get, it's my rarest and most unique, and it attracts a lot of attention ;) I enjoy having the little guy out for my many misadventures. Yeah, it's a little area just off the cemetery area with a gazebo or two. My main with his usual traveling companion. There's just something about being in a BG, getting a killing blow on a warlock, and seeing the Soul Trader zap their corpse. My alt with what his pets. A Goblin with engineering. I think I'd get kicked out of the union if I didn't have a walking explosive following me around. My main alt Wahya with her pet Foxy and darkmoon faire cub companion pet, who I call Simba since I'm a huge lion king fan.